In Snyder there is a wonderful coffeehouse called "The Manhattan". It is positively charming and has the best coffee. This piano sits just there waiting for someone to sit down and release the songs. 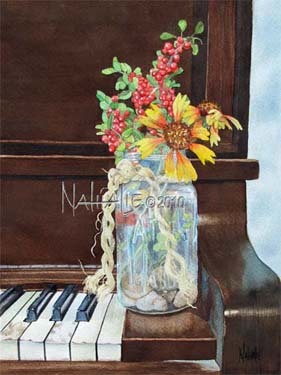 Indian Blanket flowers and red berries in a Mason jar sits close at hand.